I’m dreaming about Fall, and I say dreaming considering it’s still pretty warm in North Carolina. I’ve seen many posts about how everyone loves Fall, so I won’t bore you. It’s all the same right? Cooler weather, amazing wardrobe, the changing crunchy leaves, and scary movies! Wait, that’s just me. Also, am I the only one who isn’t crazy about pumpkin spice? I just don’t understand the excessive hype around it, but of course, to each their own. I’m more of a creme brulee girl anyway. The sole reason I love when the weather changes is because of outerwear! 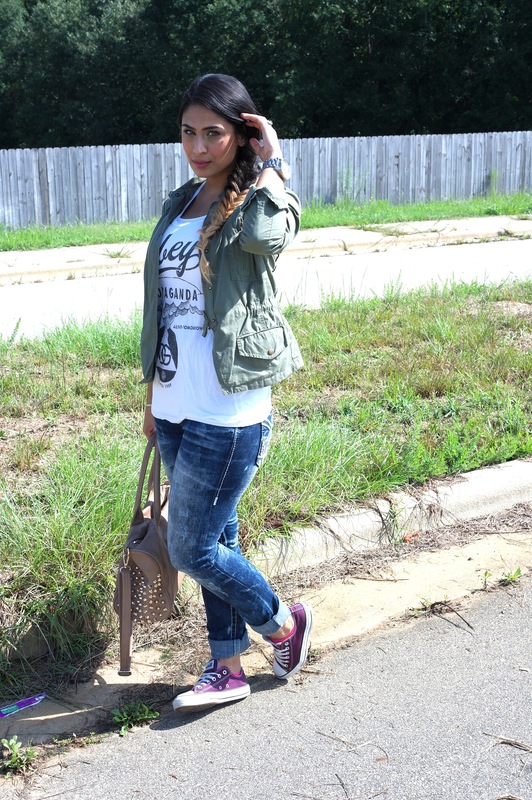 I have a weird obsession with jackets, coats, pleathers – all of it! I have a separate closet for all of my jackets- thanks mom. 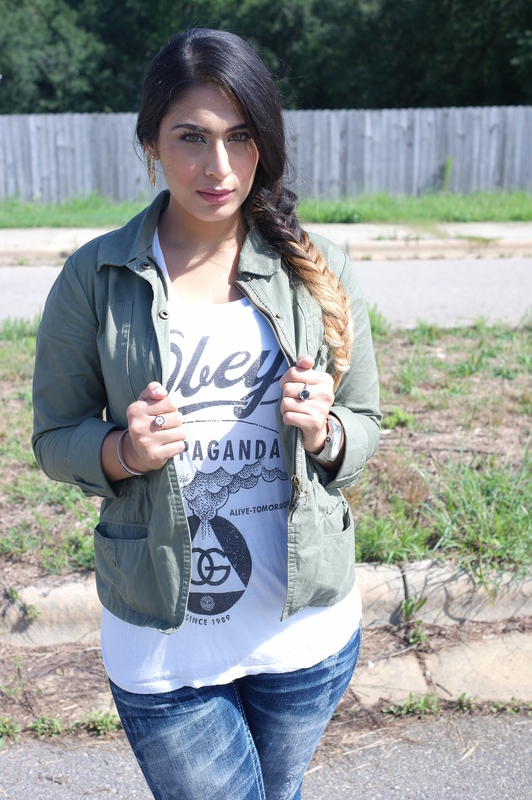 Seeing that it’s still warm during the day, jackets are an easy transitional piece to the cooler evenings. This post, I’m sticking to my roots, as much as I love dressing up, it isn’t my everyday look. I wore heels this past weekend and I NEVER wear heels, unless someone is getting married. I don’t know how girls function in heels, I’m definitely jealous at times but I just naturally gravitate to flats. 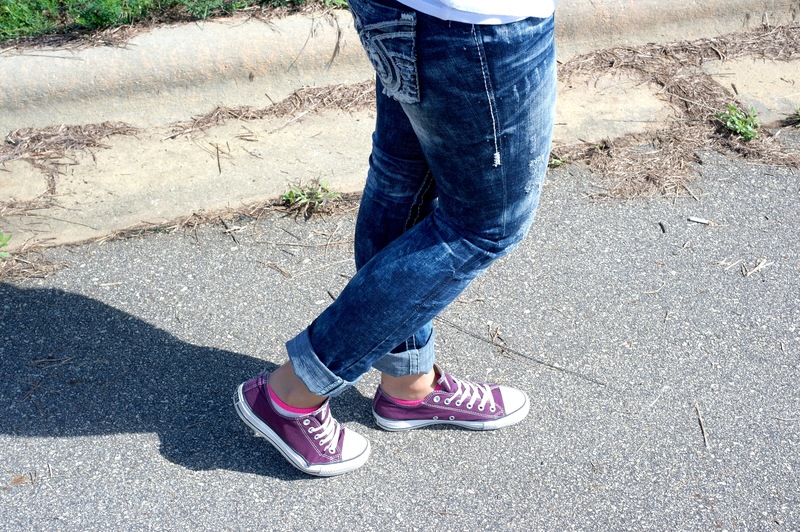 I paired my straight acid wash jeans with a white t-shirt and threw a jacket over it, and kept it even more “Fatima” with my purple converses and a fishtail braid. I haaaaaaaate fall. But I agree with your love for outerwear! Can’t wait for coats & jackets!